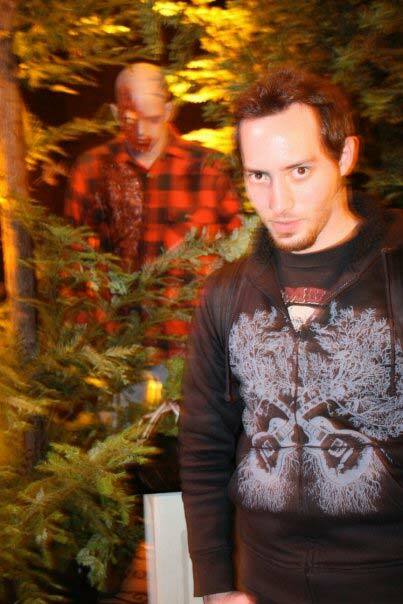 Eric Swartz has been a Horror Artist since 2003. Even at a young age, he watched countless horror films which gave him years of nightmares. Eventually, the nightmares ended and his obsession grew from these dreams into a lifestyle. Once he began drawing monsters from his favorite Horror Films, Eric knew he was on the right path. “The genre is so diverse, so powerful, so full of artistry, I will never grow tired of creating art from the source.” Special-Effects Makeup became a huge influence and showed how anything is possible in the world of monsters and mayhem. From the classic Universal Monsters, to today’s advancements in monster mechanics, the genre never grows stale and explores endless possibilities of imagination into the 21st century. Eric graduated from The Tyler School of Art in Elkins Park, PA and has a Bachelor of Fine Arts degree in Drawing and Painting with a minor in Art History. He currently resides in Hollywood, CA where he is has done graphics work for Blue Blood and continues to produce Horror Art and share his obsession with the world. You can find all Gothic.net articles and fiction relating to Eric Swartz at tag Eric Swartz.